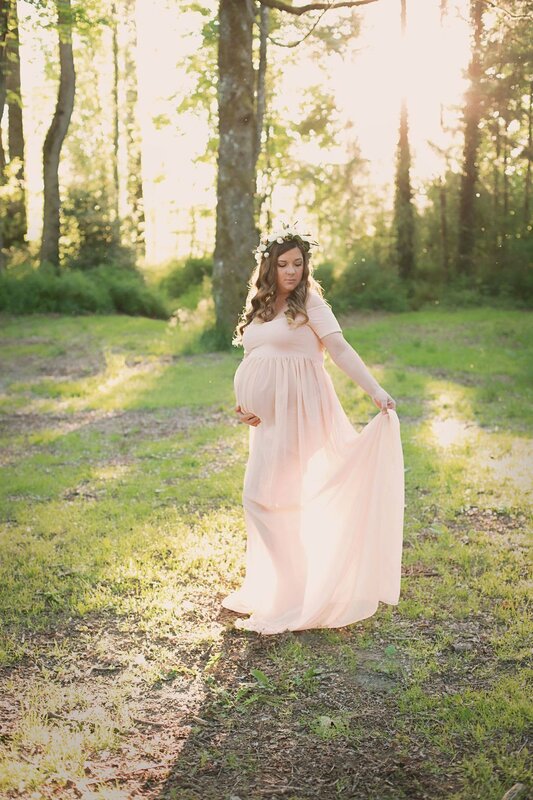 A Maternity session is a great way to capture your pregnancy, as well as celebrate the arrival of your sweet baby! We offer packages to fit everyone’s needs. This is a wonderful option to capture your journey from belly to baby. 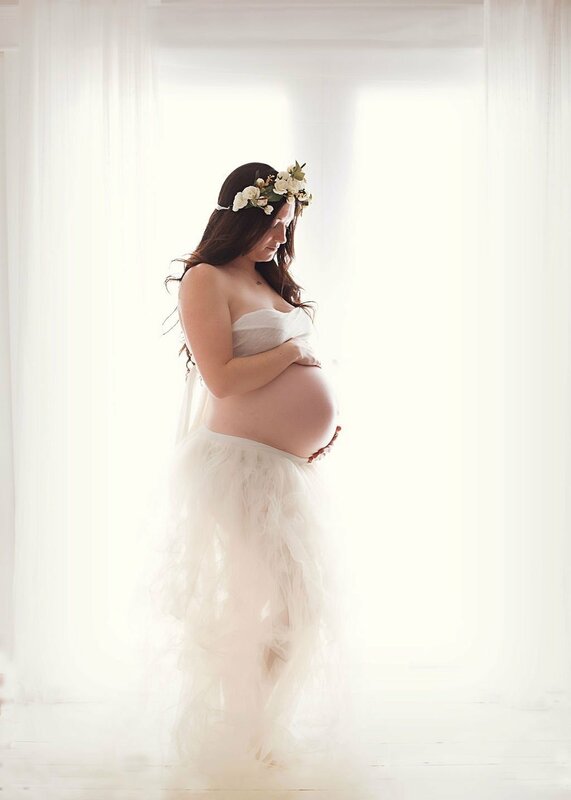 Take the stress out of figuring out what to wear for your maternity session by choosing your attire from the Maternity Gown Collection! Can I book a maternity session without booking a newborn session? At this time, maternity sessions are only offered to our clients who also book a newborn session. 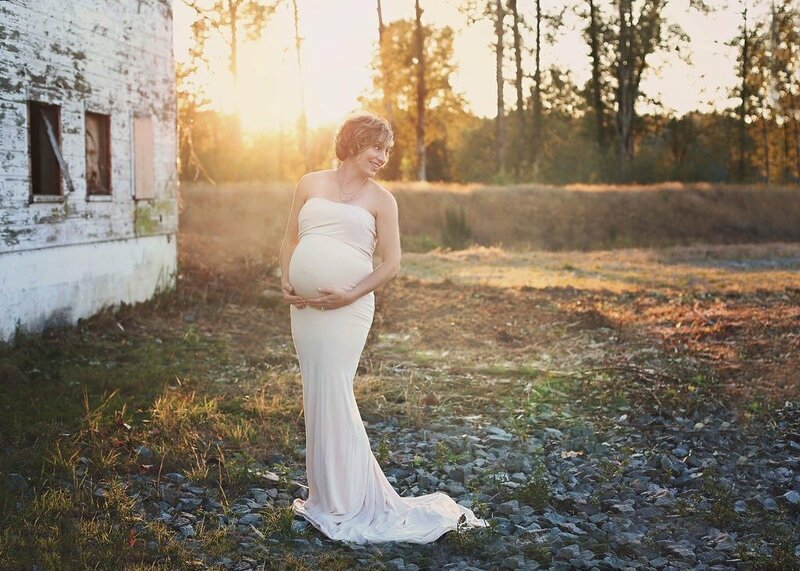 When is the best time to do a maternity session? It is recommended that your maternity session is done between 30-37 weeks. This time frame is best because you are big enough to “show” but not too uncomfortable for your photos. I love to photograph in earth tones and a neutral color palette. I feel these colors compliment everyone, and doesn’t take away from the focus of what is most important in the images – the love and anticipation of a family growing. Please avoid bright colors, loud patterning and logos. These simple tips will keep these photos timeless and classic for years to come. 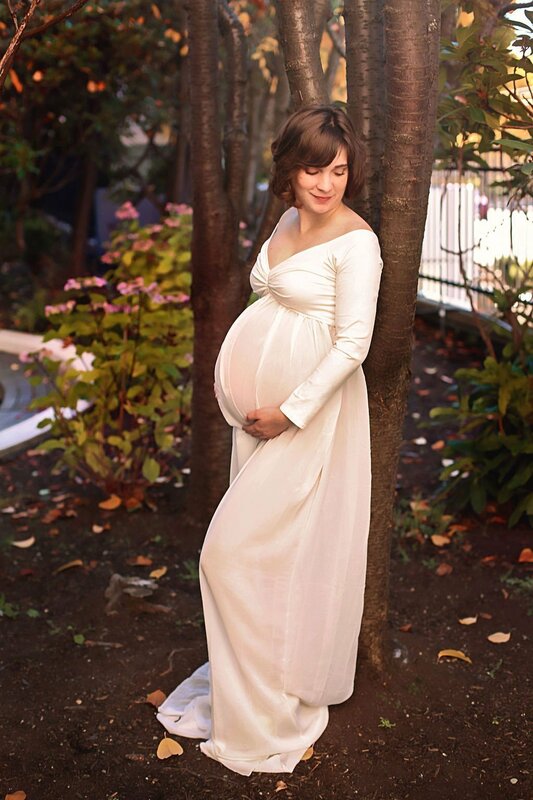 Expecting mothers will also have access to my maternity gown collection to make the experience one to remember! 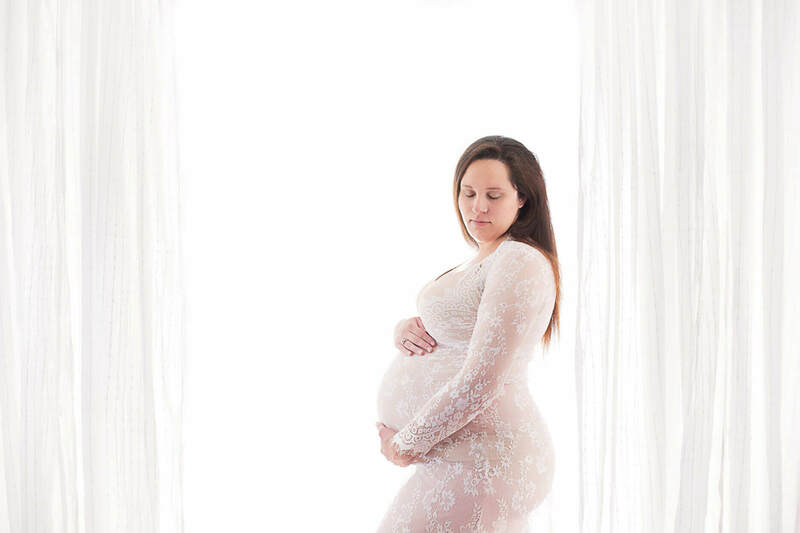 Can family members be included in my maternity session? Yes! I believe it is important to include immediate family members. They need to be apart of the story as your family grows, too! Where do your maternity sessions take place? 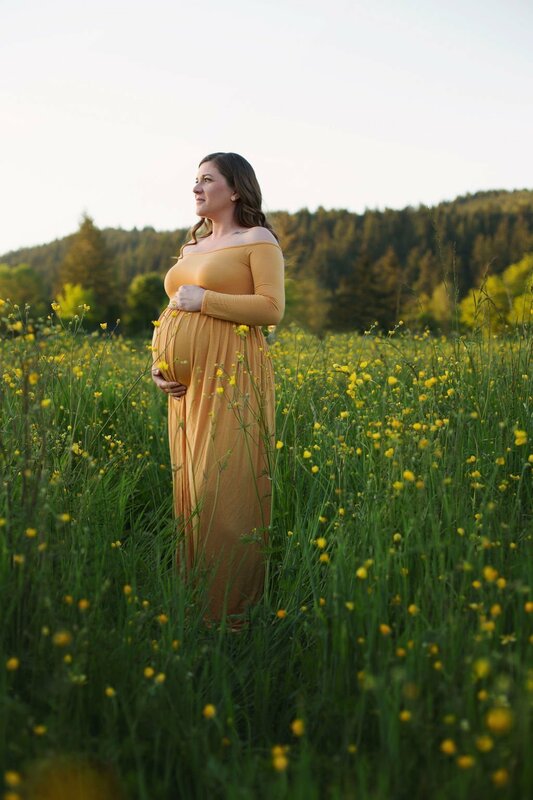 Maternity sessions can take place at various outdoor locations depending on weather, or in my studio located in Orting, Washington. Let me know your vision and we can collaborate on the best location option for you! I am worried about my stretch marks showing, can you edit them out? Yes! If you choose to have bare belly photographs, I will edit out any blemishes, stretch marks or scars upon request. Motherhood is a special and beautiful time in which such blemishes and scars are important to embrace and remember for some mothers, while others may choose to have them edited. SIGN UP TO RECEIVE SEASONAL PROMOTIONS TO YOUR INBOX! 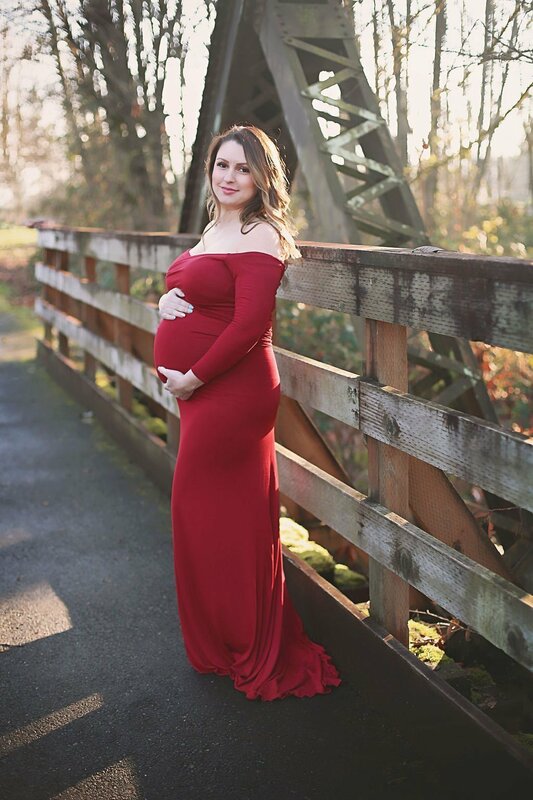 Chelsey Grant Photography is a maternity, newborn, and milestone photographer located in Orting, Washington. Photography services cover Seattle, Tacoma, Puyallup, Olympia and the surrounding areas.